A good number of my friends are great photographers and like all good photographers, visiting Metro Gully is a must-do. Its the narrow lane just beside the Metro Cinema Hall (now closed) in esplanade area. Now, the lane is full of street hawkers selling different items ranging from imported (mostly fraud) shoes to expensive (mostly original) cameras and lenses. Its this lane, which has got a strict grey-market feel attached to it and probably the reason why some people love to roam around there than in swanky malls. Now coming down to the point, last time when we went, it was almost lunch time and looking for a restaurant, we had to find out a place and we were fed up of CCD. 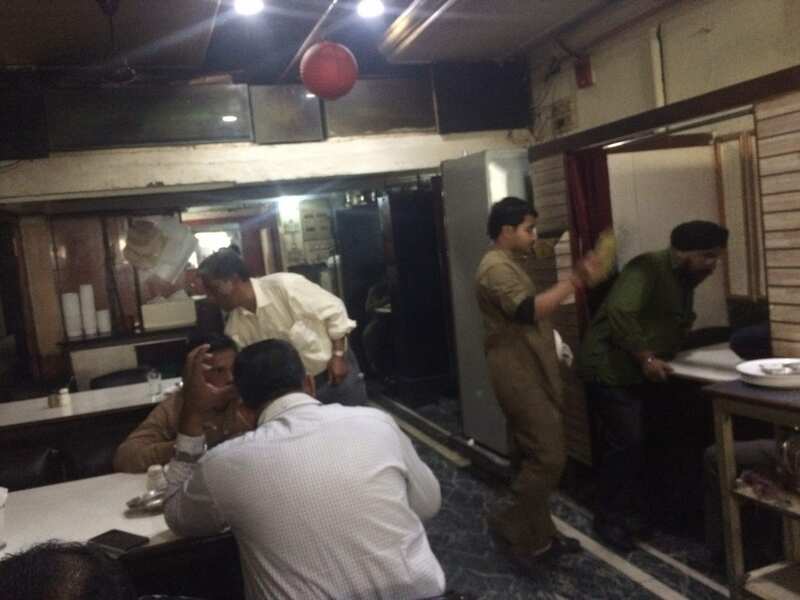 Just then, somebody suggested this place called Anarkali Restaurant. Its a shabby looking place, let me be quite honest, which is running for more than 50 years. And, here, please don;t get panicked if some unknown person suddenly comes and shares your table. Its the standard norms here- nothing to get hyper about. 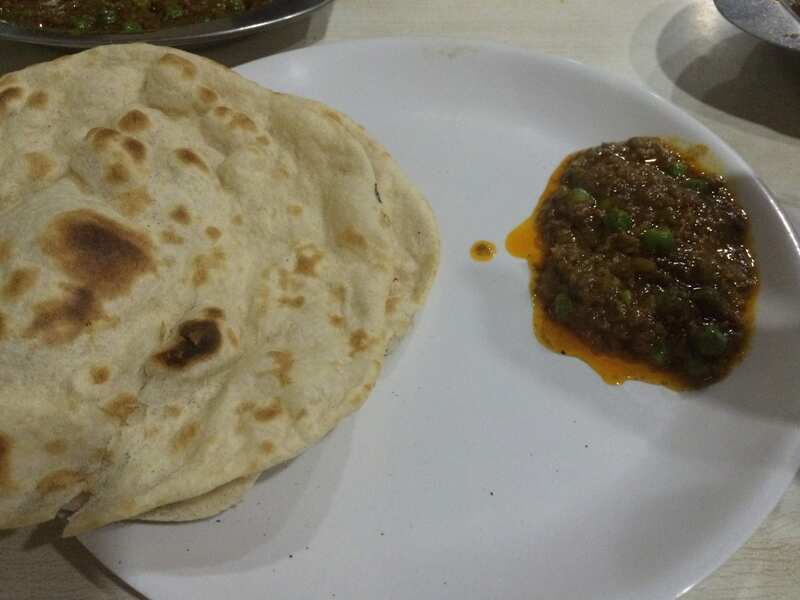 Whatever, as we always do, rather than tasting my knowledge (which mostly betrays me), I asked the waiter “Dada, what can we have which is spicy and slightly dry ….. ” and he served us the 2 dishes, which still today I feel are the best that the joint could’ve offered. He offered me plain tandoori Roti, mutton keema matar and Chicken Fry chilly. Frankly, I was a little taken aback with the name. Chicken fry chilly ( I mean WTF). But then the dishes arrived. Like any good place, they offer hot rotis one by one. 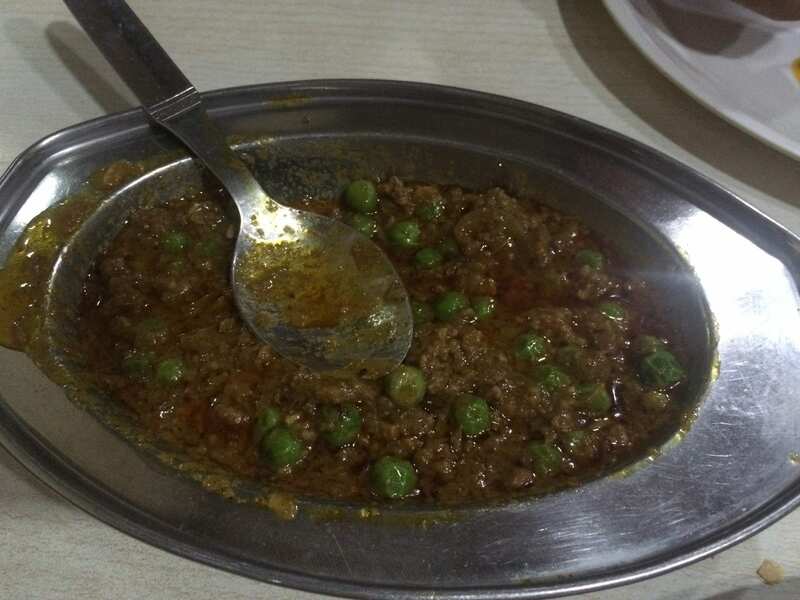 The keema [email protected] 115/- is a still and can easily be shared among 2 persons. And we ordered for the chicken fry chilly (half)@ 140/-, which the waiter told us would be enough for 3 persons, when combined with rest of the order. And, it was delicious. Fried succulent chicken pieces tossed in a brown gravy (spiced with tomato sauce and chilly sauce) and tampered with slit green chillies. Even as I am writing this, frankly, i am longing for this. We are not very sure how many rotis we had with this beauty- but we were bowled out- clearly. Ok, being a bong, we were bound to end up with something sweet, and thus had the Kulfi-Falooda. Its good but frankly, after the chicken, nothing could really match. So, all in all, definitely a recommendation for the friends going to Metro Gully and the office crowd near that area. For the “sophisticated” guests, take-away might be a better option. Please let me know how as it and till then, Bon Apetite !!! Thank you Indrajit da, I will definitely hop in this place on my next visit to Metro Gully. surely I will try . Seems spicy and thus mouth watering. This is a nice place to have north Indian dishes after marketing in the busy esplanade area. Pocket friendly too.